Instalift™: A non surgical Silhouette suture-lift to temporarily lift sagging skin by Dr.Ron Shelton. Dr. Shelton has been doing Silhouette InstaLift™ suture lifting since 2016 to help lift sagging faces without doing a facelift. 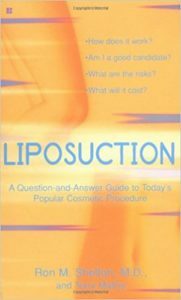 He was one of the first NYC dermatologists to perform this procedure. He has received additional on-site education regarding advances in this technique in May 2017 and shared with the company his technique to improve part of the procedure which has now been shown to many other doctors. InstaLift™ had been done in Europe for a few years and around 10,000 cases performed prior to the company obtaining FDA clearance in the U.S. 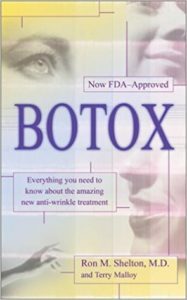 The procedure takes Dr. Shelton 60 – 90 minutes in the office to do the face. He evaluates his patients in consultation and determines how many sutures they may need. Usually it is three per side. Some cases could require four or more per side. The sutures are made of material similar to that already used in surgical procedures that utilize dissolving sutures, and also similar to Sculptra™ which is a volumizer / filler used in cosmetic procedures to stimulate collagen growth. This is the major advantage to the first generation thread lift which no longer is being done. Contour threads did not provide this ongoing collagen formation and the many permanent sutures only provided a year or less of benefit, whereas the InstaLift Silhouette sutures have been shown to provide more than two years duration of effectiveness in many patients. The focus of InstaLift is to shift structures of the lower face that have sagged forming jowls, deep smile folds and marionette lines. This aging effect also leaves the face hollow as the tissues descend to below the jawline. The Silhouette sutures help lift up the jowl and lower cheek thereby lessening the folding over of the smile folds and other lines around the mouth and side of the chin. The dissolving sutures have dissolving cones along the length of the stitch that anchors the subcutaneous tissue underneath the skin and helps keep it in place once it's lifted. This is the second advantage of Silhouette sutures used in InstaLift™ compared with the former threads used years ago that had barbs. The cones are gentle to the skin and don't poke out of the skin. Who is an ideal candidate for InstaLift™? 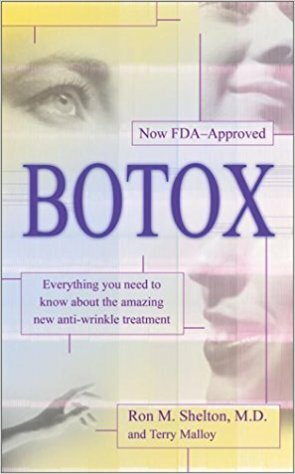 It does not provide as much lifting as surgical facelifts. Some patients choose to undergo Silhouette suture lifting as they may prefer to have subtle improvement, not ready for their facelift yet, want to look natural, and not have surgery because of either medical conditions that increase their risk undergoing anesthesia or they don't have the downtime to invest in recovering from a facelift. Patients in their 40s – 60s, in good health, not terribly sun damaged, with good elasticity, not too thin-skinned nor too heavy and not having very full cheeks, typically are the best candidates for InstaLift™. or contact us online today.